This is a Professional quality pair of Weight / Power Lifting Gym Wrist Wraps. Featuring an Elastic with a thumb attachment and Velcro fastening (hook & loop closure). 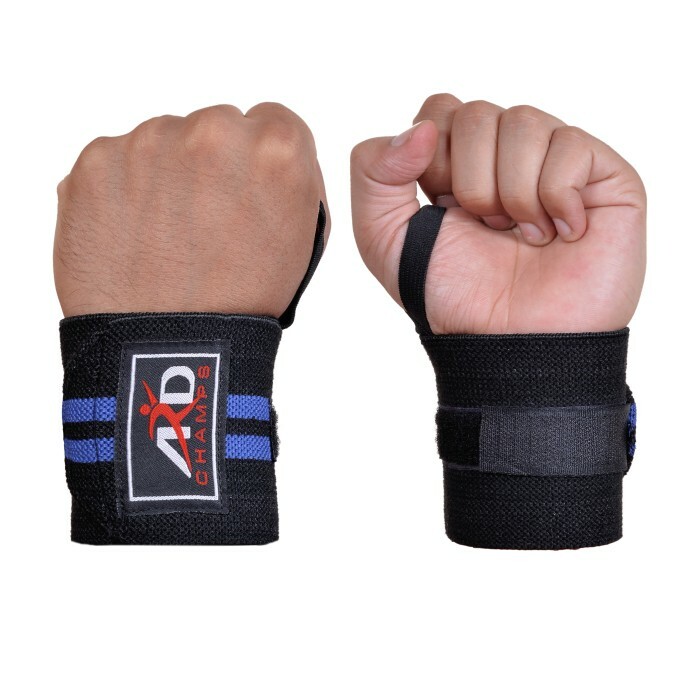 ARD Wrist Wraps are a combination of the best in comfort and durability. These heavy duty 3" wide wraps are made from elastic cotton for maximum support. Weight Lifting Wrist Support Cotton Straps. If you are into Powerlifting or you do heavy squats, dead lifts, etc.